Power 12vDC Devices up to 180watts / 15 amps . 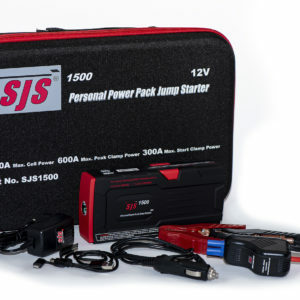 Must use SSCFCL156 or SJS12vPK adaptors . 12 month warranty . Conditions apply . Tp001 0-80 psi Tyre Pump Included . BONUS ! 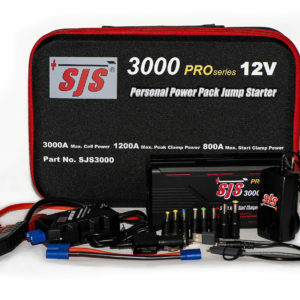 RECEIVE 1 x SJS12VPK 12VDC Device Powering Kit Valued at $45.00 FREE! $259.00 Free Freight Australia Wide . CALL US – WE ARE THE EXPERTS ! Visa, Mastercard , EFTPOS Accepted . 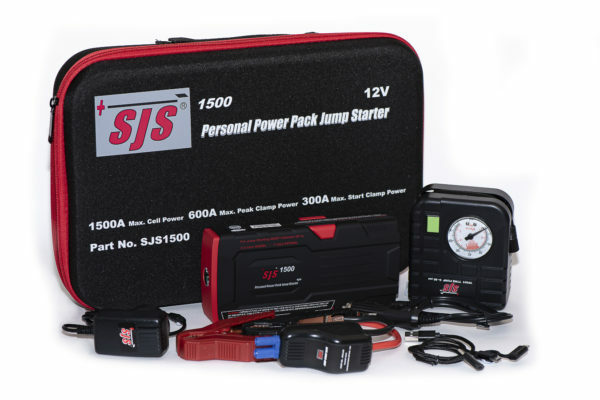 JUMP START OUTPUT: 12 V DC, 600 Amp Max. Peak Clamp Power / 300 Amp Max. Start Clamp Power . 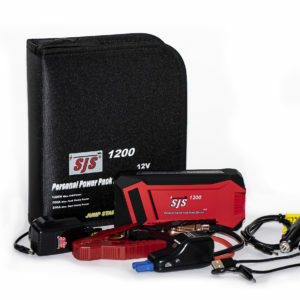 JUMPER LEADS: JUMP START SAFE Technology 8 AWG cable . Reverse Charge Protection. Short circuit protection,Reverse polarity protection, Overheat/Overcrank temperature sensor, Power Pack low voltage indicator, Anti-surge protection , Low Voltage Override , Vehicle Battery Voltage Detection. SELF DISCHARGE: 0.2v per month depending on ambient storage temperature . With the Power Pack turned OFF. PRESSURE: 0–80 psi (Inflates 205/65R15 tyre to 40 psi in 15 min). SIZE: 105 mm x 95 mm x 45 mm, Weight : 300g. CURRENT DRAW: 2.5 A to 6 A. RUN TIME: 52 min @ 6A max. Smart Jump Starters Pty Ltd © 2016 . All rights reserved .